CA - COORDINATOR OF EXPERIMENTAL PROJECTS - Joe is an electronics engineer with over 40 years experience, inventor of the gamma ray transducer, and holds a law degree. He has wintered in Antarctica twice, once at the South Pole during DF75 and once at Palmer Station during DF78. 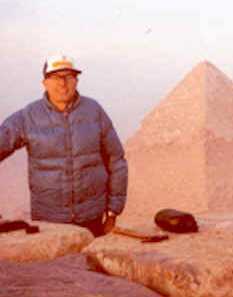 In October of 1978, while Joe was at Palmer Station, he discovered the Gamma Ray Transducer. He has also wintered once at Thule Greenland and has been involved in 8 major projects throughout the world.